Tesla’s slow start to launching production of the Model 3 sedan has been subjected to intense scrutiny for months, with the company saying just last week that it’s planning to start making 2,500 per week by the end of March. Now, thanks to a helpful interactive feature from Bloomberg, Model 3 reservation holders and Tesla fans can keep track of the automaker’s progress to achieving that goal. To date, Bloomberg says it estimates that Tesla has put out roughly 7,300 Model 3s, with approximately 1,000 being made per week. The news outlet says it’s based on official U.S. government data, social media reports, and direct communication with Tesla owners. Tracking VINs that Tesla registers with the National Highway Traffic Safety Administration. “We track the number of VINs between batch registrations and use the number of intervening days to estimate a production rate,” Bloomberg says. The one issue is that Tesla could register VINs in large batches, and there’s no limit. So that could muddy the estimations. Even if Tesla boosters hate to admit it, the automaker’s about to face stiff competition from the rest of the industry with equally impressive electric cars. 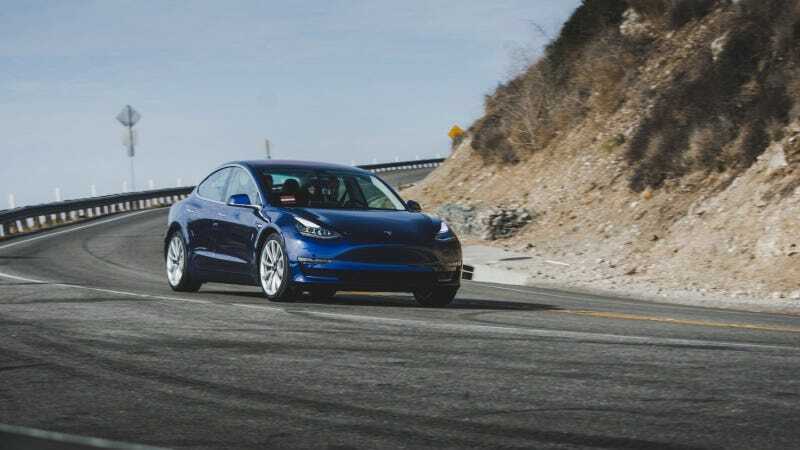 Figuring out how to deliver 450,000 Model 3s to those who’ve made a deposit is crucial to maintaining interest from prospective customers in the future. At least we’ll have a second barometer to rely on besides Tesla’s own quarterly numbers now.